The annual conference of the International Public Relations Network (IPRN) announced the winners of the Project of the Year (POTY) competition, with the winners demonstrating 4 examples of outstanding PR work. The 23rd Annual Meeting of the International Public Relations Network IPRN took place this year in Beijing under the theme “Managing a better business”. For five days, the owners and senior managers of agencies from all continents discussed about industry trends, best practices, and agencies management. The host this year, was Blue Focus (7,000 employees and 2.500M €), the largest PR agency in China and a top player in the world. The participants chose the best projects of the year (IPRN Project of the Year Awards) from 15 finalists in the categories “Best Project of the Year”, “B2B”, “B2C” and “Corporate Social Responsibility”, after full presentations to delegates who act as the judges, showing a high level of knowledge due to the impressive excellence of the projects. Tasks. Dachser took over the Spanish logistics company Azkar in 2014. The integration process was completed in May 2017 and for this Dachser needed a project that combined the public announcement of the acquisition and the celebration with the 4,000 Iberian employees entering the Dachser organization. Strategy & Measures. 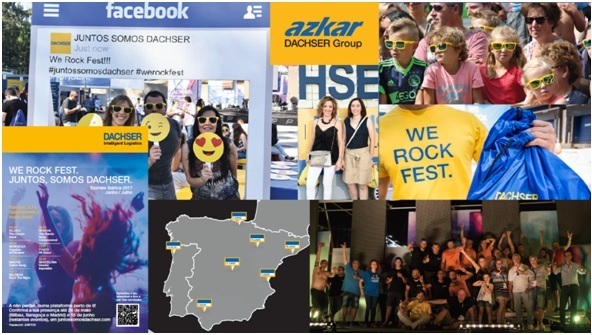 The communication was rolled out in three phases: communication with the Portuguese media, with an invitation of journalists for the world announcement at the Munich Fair, launch on the same day of Dachser Newspaper, distributed in the 80 Dachser branches in Portugal and Spain and “We Rock Fest”, a music festival for all employees and their families. “We Rock Fest” took place from 3th June to 27th July at seven locations in Portugal and Spain. The Dachser staff received a festival kit with tickets for their families, food vouchers and free transfer to venues. A communication campaign with flyers, posters and magazines attracted a large number of employees. Result. Spanish and Portuguese media reported on the press conference and takeover. More than 80% of the employees attended the festival in the summer of 2017. Due to the success In September 2018, the second edition of the festival will take place in Madrid. Tasks. The CIEHF wanted to show how the organization is relevant to business and professionals with a wealth of knowledge and insight, able to provide commentary on hot industry issues. The basis for answering this question was an online survey through CV Library of more than 1,000 executives from the manufacturing sector. 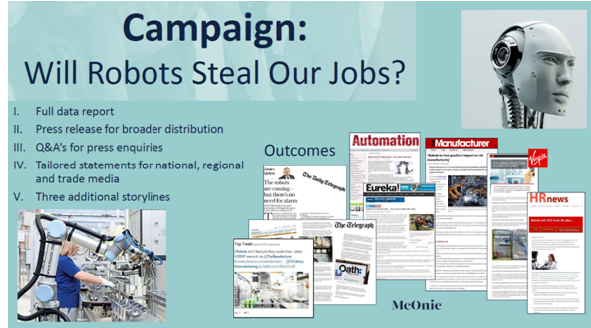 Based on the results, the story for the campaign was created. The results were prepared as a data report and press releases, Q & As and statements were disseminated across various media outlets. The representatives of the CIEHF were trained for dialogue and interviews with manufacturers and the media. Result. 39 media reports reached over 10 million readers. 65% of the coverage was in “Tier 1 & 2” publications. The Twitter account of the CIEHF increased dramatically with visits. It put the CIEHF on the map. Tasks. During the three-month hurricane season in the U.S. from June to September 2017, many residents were displaced and left without access to their medical treatment and prescription drugs. Healthcare Ready was poised to help strengthen supply chains through coordination with public health and private sectors. However, there was little awareness of the powerful gap this organization could fill. Strategy & Measures. The campaign was developed in three directions: Awareness, Education and Engagement. JPA rapidly engaged the media in hurricane-impacted regions to alert residents about options for filling their prescription medications. Further, the team engaged national media to educate them about the unmet needs and role of Healthcare Ready. Lastly, policymakers, medical personnel and other stakeholders were engaged on this important topic. Result. Over 40 individual articles were written on Healthcare Ready (including Newsweek, USA Today, Huffington Post) with a reach of 435 million people. 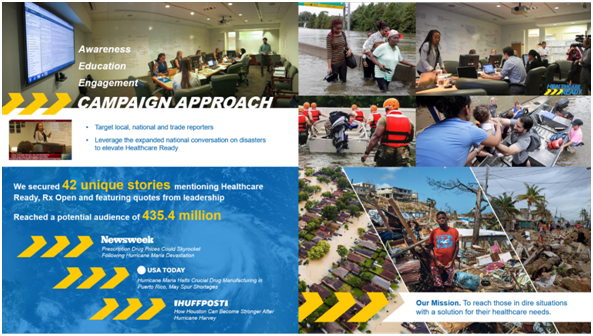 Healthcare Ready received more donations than before through reporting and was able to further position itself as an expert and opinion leader in the media after the hurricane season. Tasks. In 2017, CVM reimagined three year-old jewelry brand Fortune & Frame’s visual branding and communications program to reflect its transition from an early-stage startup to an in-demand retailer, coveted by celebrities, influencers and everyday women looking for a special place to store their fortunes and other inspirational messages. Strategy & Measures. This project encompassed a digital overhaul, influencer marketing program and public relations campaign. CVM designed and developed a completely custom ecommerce site for the jewelry brand. From there, the agency devised a plan to get Fortune & Frame into the hands of celebrities and influencers based solely on offering free product in return for exposure and content. 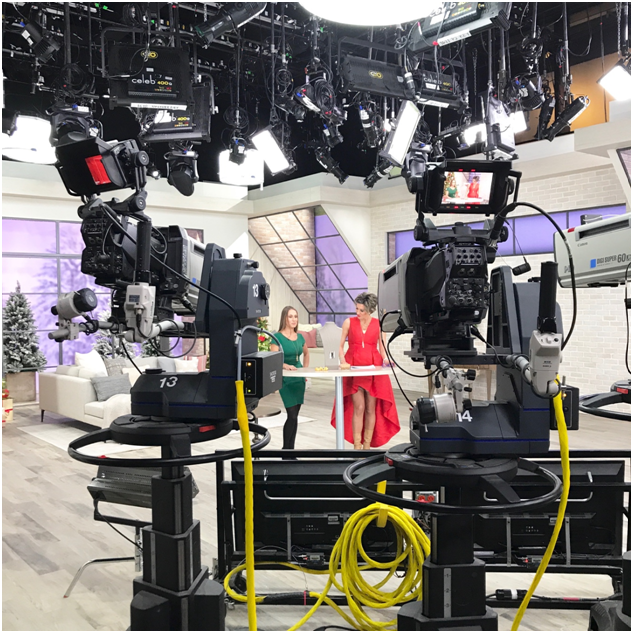 The highlight of our work was in November, when Whoopi Goldberg identified Fortune & Frame’s lockets as one of her “Whoopi’s Favorite Things” and featured the jewelry extensively on a nationwide special episode that ran on her birthday. As a result of the coverage and exposure secured throughout the campaign, Fortune & Frame secured orders and new drop-ship relationships with QVC, Ahalife, The Grommet, Love Adorned and a number of other high profile retailers. This campaign resulted in a $500,000 increase in sales for the jewelry brand. JP│KOM has been a member of the IPRN since 2003 and thus has more than 40 cooperation partners worldwide. Each of these agencies is one of the market leaders in their country.